Your lollipop holders are really cute. I am so glad I could sign up today. Tried the other day and kept getting an error page. The lollipop treats are so cute, I love the new stamps, thanks for showing them to us! Katie, I just learned that you are a teacher...hehehe Anyhoo, your projects are terrific!! Love those lollypop holders!!! 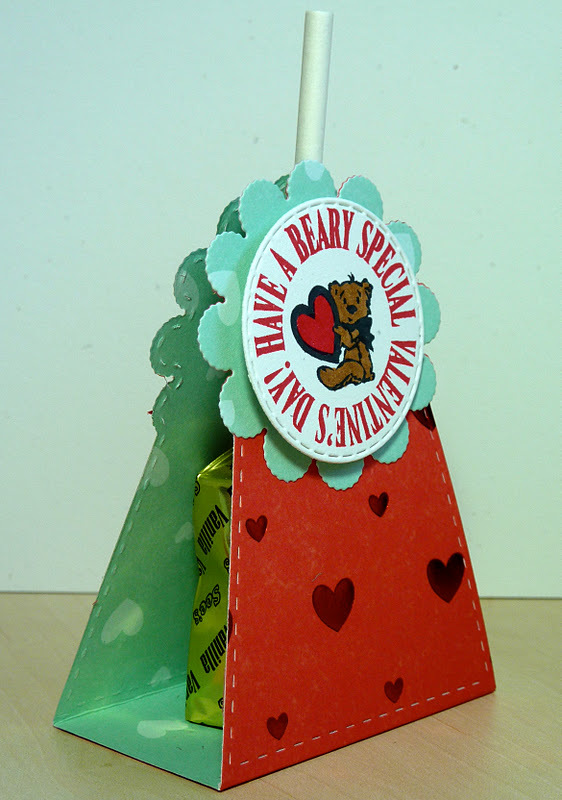 You did such a great job with the lollipop die and the cute stamps that you added to it. I love the Valentines day set and am going to have to get it. I just finished telling my daughter that I want the banner kit and you are giving one away. So maybe that means it's my lucky day and I'll win. OH well, one can hope. Another reason to give treats - cute holders!! And teh new stamps are wonderful - I would love them! These are fantastic! I am going to have to play around with my cricut to figure something like this out! Thanks for sharing!!! LOVE the banner kit!!! Love every one of your projects and the creative time sets . . . so many inspirational ideas! I just LOVE the lollipop holders! I know what I am making for my daughters class for Vaeltines Day!!! Soooo cute...makes me wish I had little kids doing Valentine's Day. I'm thinking this might make a cute shower favor also. TFS! I love all of your creations! You are amazing!! I love your style! Great giveaway, thanks for the chance! Cute Cute Cute....Love your lollipop holders. Now headed over to Everyday Cricut!! Fantastic job Katie!! I always enjoy seeing your projects! Great job Katie! Love the colors too! Love the look of the lollipop die. I liked your pops...Looks like my wish list is getting longer. That's so cute... I LOVE it!!! Awesome projects on both blogs. I can't wait to order the new die. Thanks for the inspiration. scrap booking/crafting retreat next Feb.! I am loving this lollipop die, and I can't wait to see the new release! It has been great to see all your wonderful projects on Everyday Cricut this week! Love your lollipop holders, there super cute!!! I'm now a new follower!! So many possibilities with this die and stamp set. Thanks for sharing your ideas. 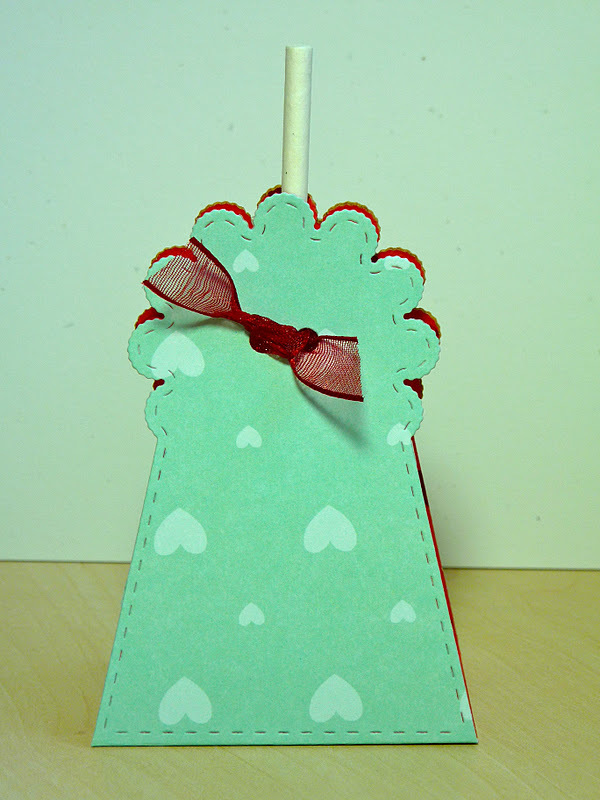 Great lollipop holder and your valentine card is super cute. These are so cute. I love all of them. I can't to get these. SOOO cute!!! I love the stitching on them too - so perfect! WOW, what great projects, this die is AWESOME! TFS. Miss Katie, I loved. This treat holder is amazing for any occasion. I love the sentiment and the treat holder for use to my daughter classmate in the holidays. 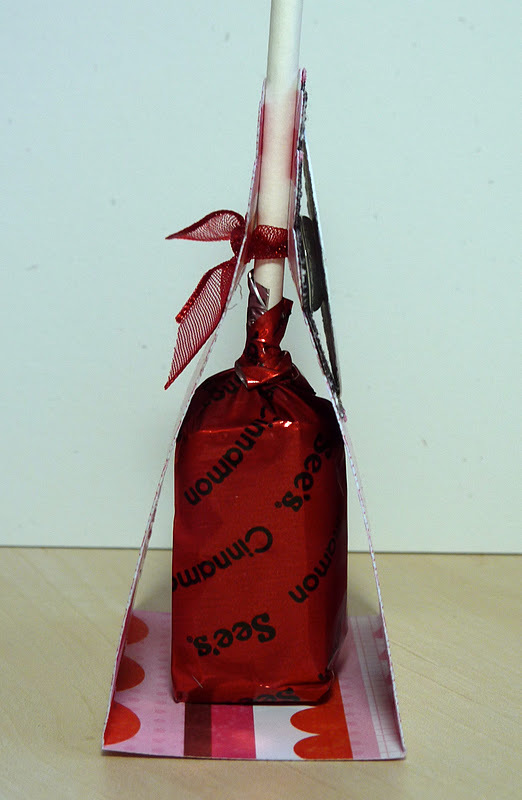 I love the pattern paper in the lollipops holder. Amazing treat and different. Great treats!! Oh my! Everything you did is so cute!! Wish I had so much more time to do all of the inspiring things I see...The dies and stamps are just great! these are awesome!! love them and all the colors and sentiments! and yes little boys are too funny! love the frog!! awesome job!! OH my goodness could these be any more adorable. They look so yummy They are almost too cute to eat (except they have SEE's candy and I love there carmels/chocloates). Great job and I love these dies and stamps Thanks for sharing. Great coloders for the holders. What a great way to give a cute little surprise to just about anyone for so many occasions. I love the ladybug stamp. A great idea. Thanks for the chance to win such a fun set ........and banner cards are so popular. I am loving the lollipop holder! Valentine's Day will be so easy peasy! I love your treat holders. Must have die for me. I teach children at my church. These lollipop holders are just what I needed. Thanks so much for the great ideas! 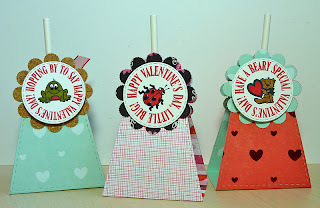 So beautiful candy holders, I love those stamps, thanks for sharing. Cute projects. I love your lollipop holders. What sweet little gifts! LOVE these. These are adorable! I can't wait to get this die! Oh so so cute Katie, I want this die... with 59 comments I don't think I will win. So cute - I love the paper you chose for this project! Your lollipop holders are fabulous! Your lollipop holders as so cute. Any classmate would love to get one. How fun are these! What a great idea...thanks for sharing these with us! LOVE these little treat projects!! And I love build a banner stamp set and don't have it. I would love the chance to win. These treats would be so cute with the cake pops as Emma shown for a shower or wedding. I am keeping that ideal for someone special! Wow you made really cute lollipop holders. This would be good for my nieces and nephew candy tubs I’m making. 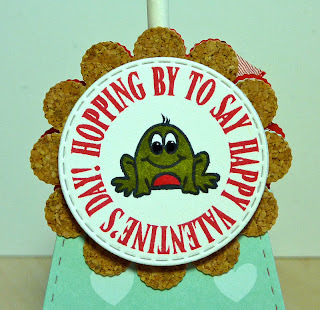 Do you get the frog and the sentimental all in one stamp? A fabulous die, love how you finished them. I can think of so many uses for them. These are just SO cute! They seem to be perfect for ANTHING! I love all 3 of them! Great idea for a diecut and stamp! SO SO CUTE! Katie, these are stinkin' adorbs!!!! I would love to win the Create A Banner set!! And I am in love with the lollipop project. Love the lollipop die, it's my favorite. This is such a cute release and you showed them well here. Great job. Love the lollipop/candy holders. Thanks for sharing your creative ideas. I love your lollipop holders. I loved the colors that you used with each. Thank you for sharing. I am loving this release! You have done a great job on your projects all week! TFS! I have enjoyed your projects! Nice! Absolutely adorable!! Love the sentiments. Can't wait to get my hands on the stitched lollipop holder. 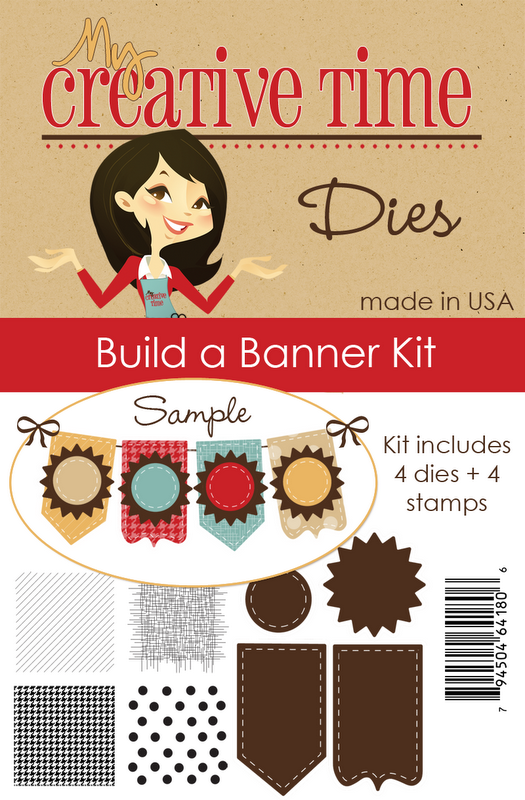 Love the build a banner kit-so cute! I love this idea, thanks so much for sharing it. I can think of tons of reasons to make these and give them away. LOVE IT!!!!! Such a cute idea, love the lolipop treats! Thanks so much for a chance to win the banner die set. Love it! 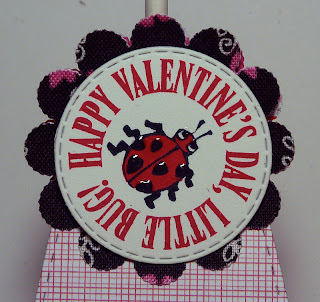 Very cute, and a great idea for kids' Valentines sentiments. TFS! I have to get that lollie pop die cut as I can see so many uses for it. Thanks for inspiring me! Wow these are adorable. I can't wait to get my hands on this release. LOVE,LOVE the lollipop holders!Very cute! Love the new stamps and your projects. 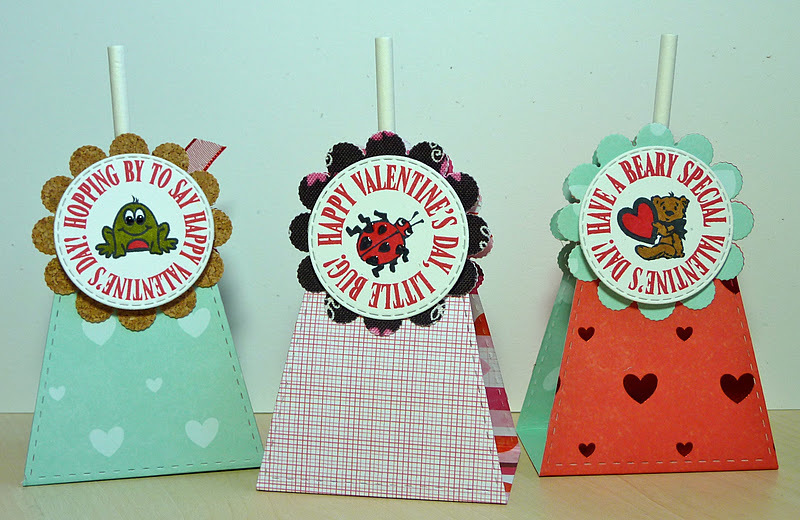 Valentines stamps and You adorably cute candy holders. You've pulled double duty this week with Emma's sneaks and your posts at EC and done a fabulous job with both. Love your lollipop treat projects!!! You're right, these are great for kids valentines...non gushy!!! Love that the stamps stamp so crisp too! I have really enjoyed your sneak peeks this week...thanks so much! All of your projects are so beautiful:) You did an amazing job today. I just love these!!! TFS! 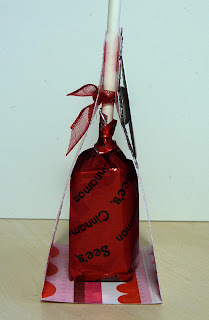 Love the lollipop holders, they are amazing! Such a great release, loved all of the sneak peaks! Thanks for the chance to win the Build a Banner Kit, it is absolutely my favorite! I am just starting to craft cards and my 3 boys are loving it also. This would be a great project for us to start on after the holidays. Ohmygoodness!!! :) How fun are those lollipop wrappers?! Love them!!!!!!! 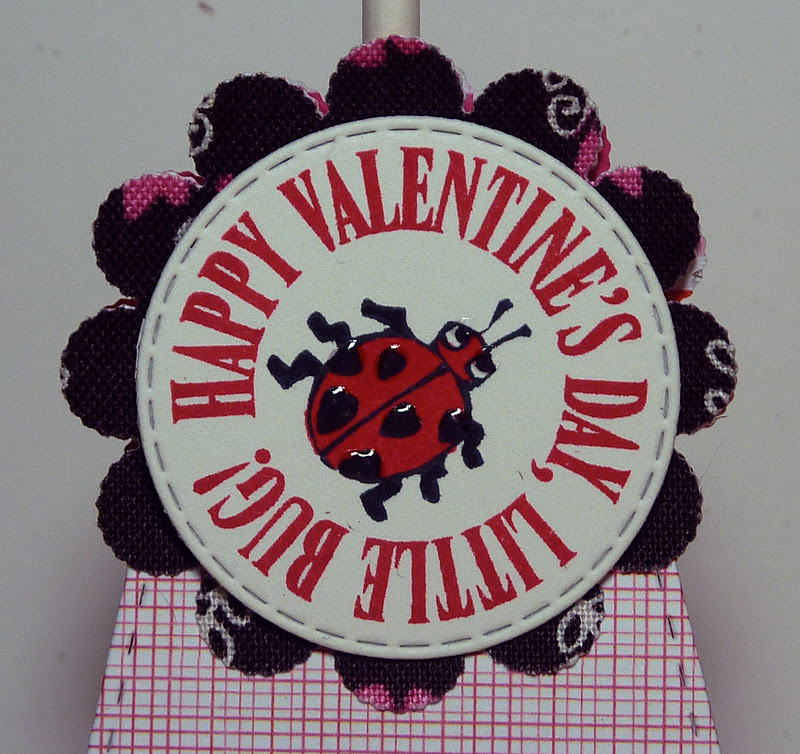 Just love your Valentines lollipop holders,they are too cute!! All of the stamps,dies and The Design Team projects in this sneak peek week are amazing!! Can't wait for Friday! Love this! Thanks for the ideas and chances to win. So generous! Love the lollipop holder! The stamp set is so usable! These are adorable Valentine's treats!